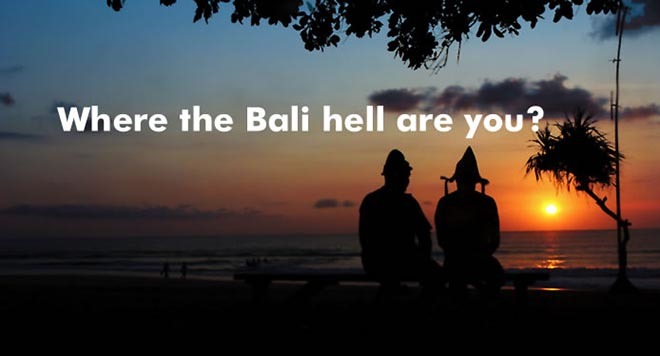 Tourism Australia’s campaign, “Where the Bloody Hell Are You?“, has a competitor, “Where the Bali Hell Are You?“. Bali has long been a favourite destination for Australian tourists but has struggled to maintain its visit rate since the Bali bombing in 2002. There were 224,000 Australian visitors in 2005, but so far only 95,000 in 2006. Brett Morgan and Mike Parker Brown, co-founders of The Little Bali Hotel & Resort Company (LBHRC), have supplemented a Bali Travel Info web site with a viral advertising campaign to get the Aussies back to Bali. LBHRC is a consortium of tourism operators working together to attract travellers from around the world. With a background in airlines such as Garuda and Korean Airlines, Morgan has developed a feel for the Australian and New Zealand markets. 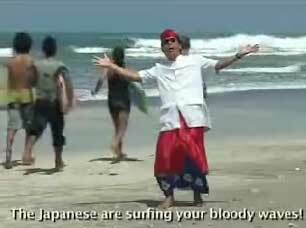 The 30 second clip features a smiling Balinese man taking viewers on a tour of Balinese attractions, pointing out that Australians are missing out on their favourite haunts. Malkie66 at Adrag Adland points out that the clip was filmed over two days with a budget of $3000, with nothing like the production quality found in the multi-million Australian campaign. Bali locals, for example, were recruited to fill in as American shoppers and French diners. The clip is online at www.wherethebalihellareyou.com, a site launched on November 2. The campaign is being backed up with accommodation and leisure specials at hotels and resorts in Bali.